Ultra pure water is mainly used in the semi conductor and pharmaceutical industry. Because of the continuing miniaturilisation in the semi conductor industry, the specifications become more strict every year. 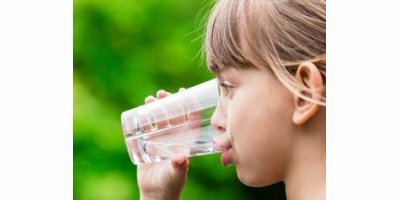 Ultra-pure water contains by definition only H20, and H+ and OH- ions in equilibrium. Therefore, ultrapure water conductivity is about 0,054 uS/cm at 25oC, also expressed as resistivity of 18,3 MOhm. Collect the most accurate short- and long-term water level and water quality data for your project using In-Situ equipment. We design and manufacture every instrument to perform under harsh conditions for years. By Premier Safety based in Chesterfield, MICHIGAN (USA). In urban areas can geotextiles be found in most diverse applications. The geotextiles are being used in access and paved roads, sport fields, riverbed protection, drainage trenches and pond liner protection. The geotextiles are also being used in vertical drainage applications. Groundwater and excess rainwater can be controlled well when geotextiles are properly used. More and more floods cause serious damage to urban areas. 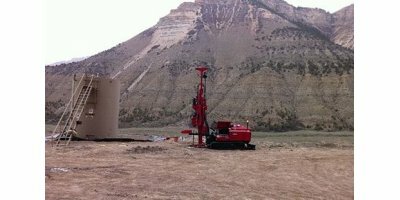 QED leads the industry in producing more accurate, cost-effective ways to collect groundwater samples. The AQQA -bag is a personal device to make clean and safe water from water, that is contaminated with bacteria and virus, as for e.g. river or lake water. It covers the demand of one person for 6 months. While the AQQA -bag provides drinking water in emergency situations, the AQQA-system is made for sustainable solutions, that are installed permanently and provide drinking water for a community for many years. E.g. : One AQQA80 filter can supply enough water for a small village of up to 1600 persons. It is simply submerged into a tank, that is build locally. The raw water runs through the filter just by gravity. In a second treatment step the water is treated with the AQQA-net using the photocatalytic effect. Since 1982, QED has been the leading supplier of air-powered pumps for groundwater sampling, leachate and condensate management, providing expertise in groundwater monitoring, leachate level control and methane recovery systems and equipment to landfills ranging from small municipal facilities to large industrial and military sites, including the leading national and international solid waste management companies. TenCate geosynthetics enhance the performance and the design life of railway construction structures. For these applications, a TenCate geosynthetic is installed as separation and filter layers in areas where groundwater is a problem. TenCate geosynthetics offer the ideal characteristics of robust mechanical properties coupled with high water flow capabilities. By Exposmeter AB based in Tavelsjö, SWEDEN.